Simply put, agriculture is vital to the Sooner State. As a major contributor to Oklahoma’s economy and provider of jobs, the industry includes everything from flourishing agricultural commodities – such as hogs, wheat and broilers – to technological innovations that are elevating the next generation of farmers. With more than 80,000 farms, averaging 428 acres each, spread across 34,356,110 acres of land, Oklahoma’s industry is vast. Several of the state’s colleges and universities are doing their part to educate the next wave of agricultural leaders, poised to sustain the current farming operations and drive the industry forward. At Oklahoma State University’s College of Agricultural Sciences and Natural Resources, students can choose from 16 majors and more than 50 study options, including ag communications, food science, horticulture, landscape management and more. The college also offers several graduate programs in areas such as agricultural education and animal science. 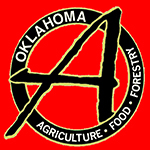 Other schools that offer agricultural programs include Oklahoma Panhandle State University, Northwestern Oklahoma State University, Langston University, Murray State College and Northeastern Oklahoma A&M College. While education is imperative for the future of Oklahoma agriculture, the state’s present industry stands strong. The top commodity, cattle and calves, was valued at more than $3 billion in 2012, according to the U.S. Census of Agriculture. Oklahoma boasts more than 41,000 cattle farms and ranches, and 97 percent of them are family-owned. Along with producing high-quality beef, another important aspect of Oklahoma’s cattle industry is the Oklahoma National Stock Yards Company. Founded in 1910, the company still flourishes today as the home of the of the largest stocker/feeder cattle market in the world. Since it opened, more than 102 million head of livestock have passed through its gates, and weekly auctions are still held. Whether you’re looking forward to a relaxing day sipping Oklahoma wines or planning your dream wedding with a country view, the Sooner State’s agritourism offerings are vast. The state’s expanding activities, which teach consumers about agriculture while they’re having fun, include U-pick farms, corn mazes and pumpkin patches, farmers markets, trail rides, vineyards, wedding venues and more. Consumers reap many benefits from agritourism adventures, but it’s just as profitable for farmers, as agritourism helps producers diversify their operations, adding valuable revenue while teaching consumers about the importance of agriculture. For a more extensive list of the state’s agritourism destinations and to plan your trip, visit oklahomaagritourism.com. From lively entertainment to thrilling carnival rides to mouthwatering fried delicacies, the Oklahoma State Fair is filled with fun for the whole family. But more than just an all-day excursion, the annual event is a great place to learn all about the Sooner State’s important agriculture industry. Stop by the Made in Oklahoma Barn with the kids, where they can get a first-hand look at the farm-to-market process through interactive exhibits and demonstrations, including becoming a “farmer for the day” and how alpacas contribute to agriculture. Guests can also visit the Barnyard Birthing Center to learn more about veterinary science and the livestock industry, and then head over to the Wine and Beer Garden for award-winning Oklahoma-produced beverages. This year’s celebration is Sept. 17-27 at the State Fair Park in Oklahoma City. Take a look at all of the competitions, activities and concerts, plus a schedule of events at okstatefair.com. 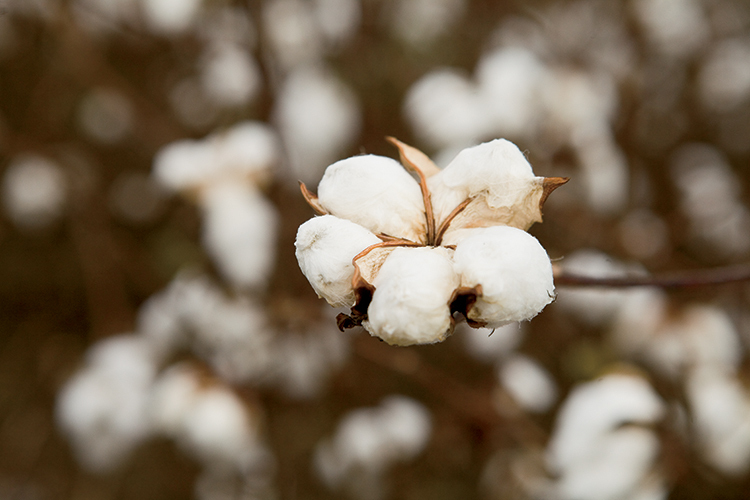 Next time you pull on your favorite pair of jeans or grab some cash from the ATM, thank Oklahoma’s cotton farmers. The important commodity rounds out the state’s top 10, and in 2014, Oklahoma produced 265,000 480-pound bales, contributing $73,649,000 to the economy. Cotton is mostly grown in the southwestern part of the state, though north central Oklahoma also has some acreage. On average, the Sooner State harvests about 200,000 bales annually, and houses 24 regulated cotton gins across the state. Most of the cotton produced in Oklahoma, and the United States, is used for apparel and remains the best-selling fiber in the country.